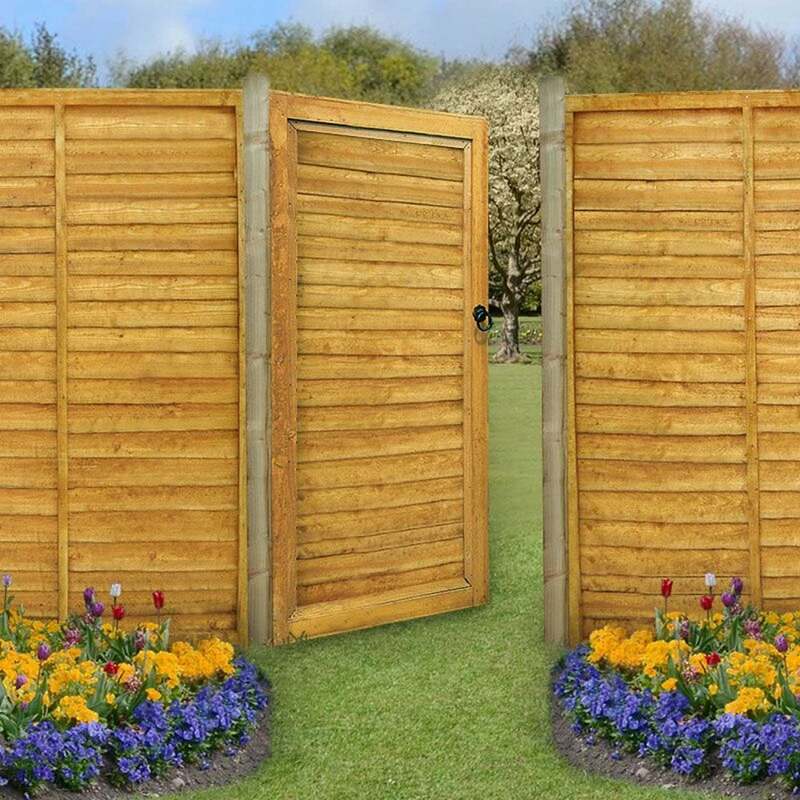 Forest Garden Lap Gate 6ft (1.83m) High: the Simple Forest Garden Lap Gate is ideal for people looking for a traditional and robust garden gate. The waney-edged boards give this gate a comforting, countryside look. It is dip treated against rot, so you will be worry-free regarding rot, for ten years. It would be ideal if it is used in conjunction with the Forest Garden Lap Fence Panel.